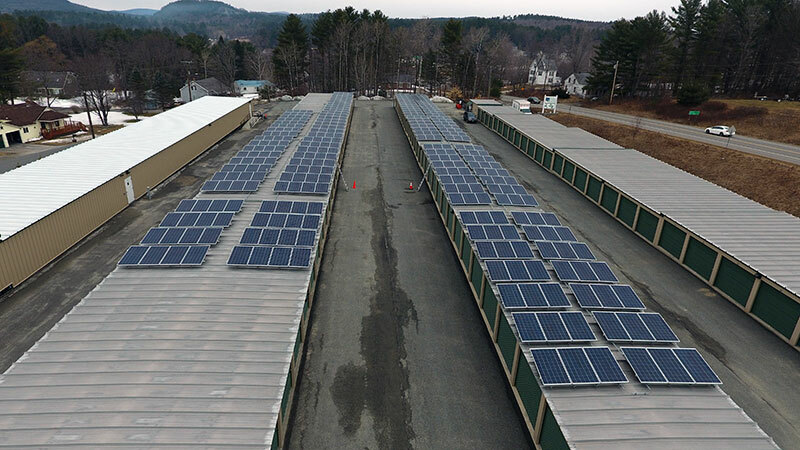 Sunapee Self Storage is a classic self storage facility with hundreds of self storage units and large open roof spaces just begging to be used. The company that owns this facility also owns a few restaurants in the state. 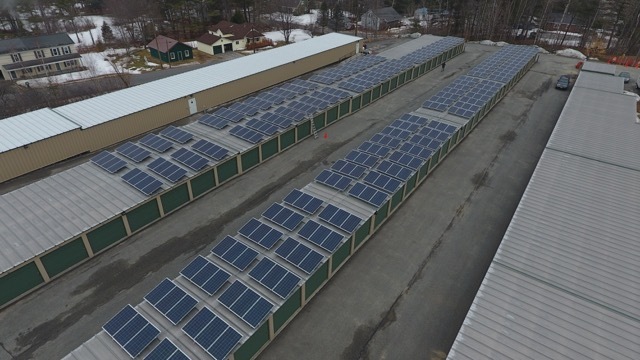 so while the power is minimal at the storage location, the systems will eliminate those bills and provide substantial group net metering income to offset bills at a restaurant location. Racking is designed to clamp directly to the metal roofing so there are no roof penetrations or risk of leaking and the installation is fast and clean.